Do We Really Do What Is Best For Our Horses? / Do We Really Do What Is Best For Our Horses? For some time now, I have felt a deep seated desire to express my thoughts on a topic that is often preached but blatantly disregarded in practice in the horse show industry. This topic is doing what is best for our horses. By nature, it is correlated to encouraging riders to feel their horse and then allowing riders to speak for themselves and their horse as a team. In other words, allowing riders and their horses to be authentic. I respect the many trainers that I have learned from. It is thanks to them that I am where and who I am today. I mean no disrespect to them personally by using the examples that I use. All criticism that I express is not of any one person, but of an industry as a whole that promotes a culture of hypocrisy. I truly believe that every trainer is doing the best that he or she knows how. At the age of 15 or 16, I attended a clinic with a well-known trainer in the hunter/jumper world. At the time I was riding a horse that I wasn’t emotionally, mentally and physically ready to ride. At the beginning of our first session, the trainer was watching each of us perform turns on the forehand and turns on the haunches at a halt. The trainer asked me to do a turn on the forehand off of my right leg. My horse and I did so. Then the trainer requested that I ask for a turn on the forehand off my left leg. My horse was often spooky and as we were in an enclosed, almost claustrophobic, indoor arena, I knew he was perfectly capable of faking a turn on the forehand while staring bug eyed at a scary object… I therefore asked politely “would it be all right if we did a turn on the haunches instead?” While this horse could mindlessly do a turn on the forehand, he WOULD focus on a turn on the haunches. The trainer, patient and as kind as could be, replied: “Please do a turn on the forehand for now.” I obliged and thought that was the end of it. Turns out it wasn’t. Afterwards I discovered that some trainers watching were absolutely aghast that I had spoken up. My trainer was embarrassed. She ‘disciplined’ me, softening her correction with sarcasm. Regardless of the sarcasm, it was a stern correction, and it was made clear that I was expected to keep thoughts like that to myself in the future. Being the sensitive person that I am, I was tremendously embarrassed and ashamed. 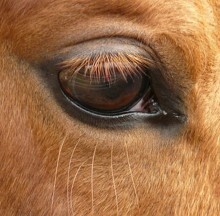 The clinician: Although he was kind, he disregarded my feeling and knowledge of my horse in favor of HIS plan. He expected my horse and I to be able to conform to HIS plan and did not take into account where we were in that moment. If I recall correctly, I struggled to keep my horse’s attention on what we were doing and my horse took enough issue with the ring and jumps that the clinician ended up getting on him. My opinion, is that if I were encouraged and allowed to do what I felt my horse and I needed in each moment. I would have been a better partner and we could have worked through our challenges as a team, instead of experiencing the clinic completely at odds with each other. So at odds with each other that the clinician felt the need to get on my horse. But who knows! The watching trainers: They had clearly been deeply engrained with respect for the authoritarian power and control expected by trainers in the horse industry. The “I say so” rigid discipline is the primary teaching dynamic in many of the equestrian disciplines. The student is expected to be mostly silent. Students have little to no say and shouldn’t speak up because the trainer knows best. Speaking up is considered an insult to the teacher. Where did this teaching dynamic come from? Several places in my view… The first is the structure of American society, particularly how education is handled. I speak now of America because that is where I have experienced the education system but it’s probably the same similar in other countries too. In the American public education system students are expected to sit, listen and regurgitate information. Rarely anything more. I believe another cause of this dynamic in many equestrian disciplines comes from the history of how and why horse are ridden. Again, I will specifically speak of what I am familiar with, the sport of show jumping, but it is similar in other disciplines as well. The root of the jumping sports is the cavalry. Absolute discipline was and is still vital in the armed forces. In the days of the cavalry, it was well recognized that one disobedient cavalryman or cavalry mount could lose a battle. For more on the history of show jumping, please check my website. I plan to submit for publication my extensive research on the history and modern culture of the sport in the near future. 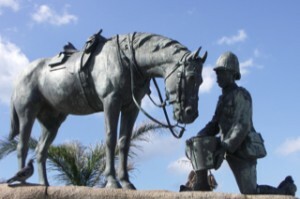 Although the strict discipline vital to a cavalry is where our sport comes from, it is no longer where we are. We do not need to heed tradition for the sake of tradition. We must allow the sport to evolve so that it remains viable in our modern world. Why is this teaching dynamic a problem? The bottom line: such rigid discipline distances the rider and his or her horse from their relationship, often completely removing them from it. Neither horse nor rider is supposed to express themselves, and, when they do, they are punished and pushed back into the role of silent students. This scenario makes two-sided conversation between horse and rider improbable to impossible. At best, it is a one-sided conversation with the rider giving direction and the horse expected to obey. Usually, it creates one-sided communication with the trainer speaking to the horse through the rider’s body. In my experience, relationships dominated by the communication of the trainer are dangerous. The trainer is not able to lead in the moment while jumping (at home or at a show), performing a dressage test, riding on the trail, running a pattern, etc. and neither the horse nor rider are prepared to be leaders. Both horse and rider must be capable of leading, and the one who is most capable of keeping the pair safe in the moment needs to be encouraged and allowed to step up. The responsibility of keeping each other safe is shared in varying degrees depending on each horse and rider combination, the discipline of riding they participate in, etc. All of the accidents I have experienced come down to my horse and me being unprepared to step up and lead when it was necessary. We were unable to be good partners to each other because we were not encouraged and allowed to feel each other in every moment, express what we feel and act on it. I do not pretend to know the perfect solution to this issue in the equestrian disciplines. What I do know is that it is up to each individual. If you train at a place with authoritarian discipline and the trainer is unwilling to accommodate your voice when necessary, find a trainer who will. I would like to believe that the trainers will lead this change in attitude but those trainers who believe in the importance of a horse and rider partnership and TRULY apply that belief in practice are few and far between. So it is up to us to lead by example and put ourselves and our horses in the most open and accepting atmosphere we can find.